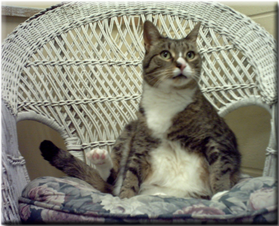 Havenwood Kennel offers a clean, healthy, and comfortable environment for your pet. We are situated in a tranquil clearing beside a large pond in the country, right next to our home. 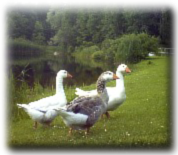 Geese, ducks and chickens roam the property. 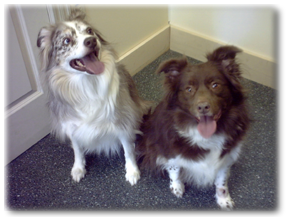 Our facility accommodates 24 dogs and 6 cats. Each of our larger than 64 square foot area dog suites has an indoor and outdoor run with radiant heating installed in the floor (so it is warmest where it is most needed) as well as air conditioning for the warmer months. Individual play times are in our big play yard twice a day. Inside is highlighted by skylights, ceiling fans and hanging plants. The outside is covered by plexiglass roofing that allows plenty of light in and keeps rain and snow out. There is continuous music played throughout the facility specifically designed to reduce stress and anxiety in boarding animals. The doggie suites have soft, faux lambskin blankets, individual daily nature walks or playtimes and soothing music. Bedtime cookies are provided for your pets' comfort. We have a separate kitty room away from the doggies. The kitty condos have separate litter areas, soft faux lambskin beds, individual daily playtime, and soothing music. We use premium quality Wellness kibble by Old Mother Hubbard which is hormone-free, antibiotic-free, made with 100% whole foods and human-grade ingredients. If you prefer, you may bring in your pets' own food.